Consumers can still obtain good deals on last minute purchases, even though the Walgreens Boots Alliance is still purchasing 2,186 Rite Aid stores. 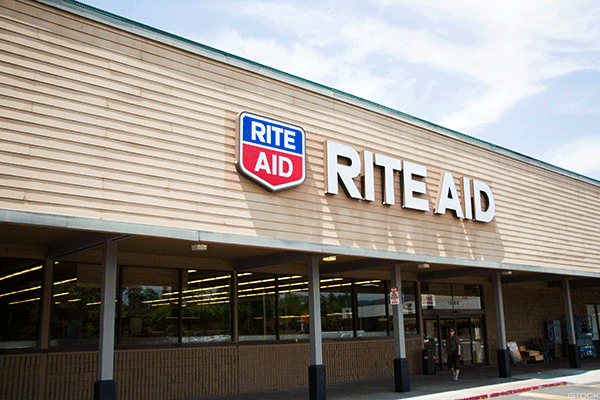 While Walgreens Boots Alliance (WBA - Get Report) scrapped its deal to acquire Rite Aid (RAD - Get Report) on Thursday, the pharmacy chain is still purchasing 2,186 stores and increasing its foothold in the sector that could stymie competition and boost prices. Walgreens will now operate over 15,000 stores that span 11 countries and, in turn, could increase prices on some items as the company controls more market share. Anti-trust issues compelled the Deerfield, Ill.-based company to end its acquisition of Rite Aid, preventing more dominance among the drugstore chains. The purchase of nearly half of Rite Aid's stores and three distribution centers means that Walgreen's will remain a large player. The annual top 100 retailers list released on June 26 by National Retail Federation's STORES Magazine and Kantar Retail placed Walgreens at number six and CVS Caremark (CVS - Get Report) at the number five slot. Amazon (AMZN - Get Report) is the seventh largest one. Consumers can still obtain good deals, even on last minute purchases by taking advantage of loyalty programs, online shopping codes or coupon apps, said Trae Bodge, a Montclair, N.J.-based shopping expert. Shoppers should "always belong to a loyalty program and there are some pretty strong ones," she said. "The more you buy, the more you benefit from their program." Many companies also have coupons on future purchases at the bottom of their receipts, so keeping them can be an advantage. People who tend to be more of walk-in shoppers, especially in cities such as New York, should download coupon apps such as Slickdeals and check to see if there are deals, sales or coupon codes they can use at the register, Bodge said. Another option is to buy discounted gift cards of the retailer where you shop frequently. Many of them such as Gift Card Granny allow consumers to purchase the gift card from their app and use it immediately at the register, saving up to 30%, she said. Rite-Aid unloading stores to Walgreens. Other retailers still offer coupons from circulars that they mail weekly to consumers or in the store. Even if the coupon code a consumer found online has expired, asking the cashier if they have a a different offer can be beneficial, Bodge said. "Most of the coupon code websites have a rating system and will show how many people used it successfully, which sets the expectation of whether it works," she said. Many options are still available for consumers who are fearful that major acquisitions such as Whole Foods (WFM by Amazon will decrease competition. Even street vendors selling fresh fruits and vegetables offer good deals for immediate purchases, said Mark Hamrick, senior economic analyst and Washington bureau chief of Bankrate, the New York-based financial content company. Purchasing items in bulk also helps consumers save money if it's an item they use frequently. "There are so many distribution channels still and it's still a rich retail environment," he said. "You don't need to buy paper towels from Duane Reade (which is owned by Walgreens) if Amazon has a better deal. You may need to buy 20 paper towels. The consumer who spends some time on researching prices are still rewarded for that investment of time." Shares of Walgreens rose 1.7% to $78.37 by Thursday's close.